WICHITA, Kan.— When it comes to a unique Wichita experience, Tallgrass Film Festival, the largest independent film festival in Kansas, stands out as a must-attend. The festival also features many of Wichita’s most unique venues, attractions and quirks. Presented by Consolidated Equities Trust and celebrating its 14th year, the festival will feature approximately 200 films from throughout Kansas, across the U.S. and around the world during the five-day event, Oct. 12 through 16 at venues in and around downtown Wichita. According to festival organizer Lela Meadow-Conner, the festival not only showcases hundreds of the best independent films from around the world, but also highlights Wichita’s popular attractions like the Wichita Art Museum and Botanica and lesser-known locations such as Union Station and the ICT Pop-up Park. attractions including world class museums, landmarks and unique local businesses, to visitors and residents alike. To highlight the city, a filmmaker field trip is being planned for Thursday, October 13, and will be hosted by festival Board Member Ann Keefer (former vice president of Wichita Downtown Development, Corp.). The bus trip will take filmmakers around Wichita for a behind-the-scenes look at what makes the city so unique. A staple of every festival is the VIP Filmmaker Lounge. It offers food and drinks and services such as hair styling, makeup application and massages. Each year’s selections include narratives, foreign films, documentaries, animated films and shorts, making for a very diverse experience. Expect close to 100 filmmakers to attend and more than 40 visiting filmmakers to present their films, along with parties and educational offerings. This year, the festival will attract filmmakers from both coasts, and everywhere in the middle. In addition to presenting their films to audiences, they’ll participate in Filmmaker Roundtable Discussions and Filmmaker Workshops. The festival also allows the public to interact with writers, directors, filmmakers and performers. Rated as a "Top 10 Film Festival" by Livability.com and "The Best Under The Radar Film Festival" by Flavorwire, Tallgrass Film Festival fosters an appreciation of the cinematic arts by creating shared experiences around the medium of film. The festival screens both feature and short films at centralized venues in Wichita. Many of the films shown at Tallgrass have been nominated for or received Sundance or Independent Spirit Awards, and several official selections have gone on to receive Oscar nominations or awards. Films will show day and night throughout the three days of the festival. Screenings will take place at The Orpheum Theatre, Scottish Rite Temple, The Garvey Center, Wichita-Sedgwick County Historical Museum, Wichita Art Museum, Great Plains Nature Center, Roxy’s Downtown and one Smallgrass screening will take place at Exploration Place. Individual tickets can be purchased for any film or packages are available. Check the festival website for a list of the films that have been selected along with trailers. The full schedule will be available online in early September. Tickets and passes will be available in mid-September at tallgrassfilmfest.com and during the festival at any festival box office. The festival includes a “Military Day” on Thursday, October 13, wherein all films are free of charge to Wichita’s large active and veteran military population. The day’s programming includes military-themed films. The program is sponsored by Wichita-based Freddy’s Frozen Custard & Steakburgers. Founder and namesake Freddy Simon is a WWII Veteran. For a detailed festival schedule and full list of 2016 festival sponsors visit tallgrassfilmfest.com. Stubbornly Independent since 2003, the Tallgrass Film Festival is the largest film festival in Kansas. 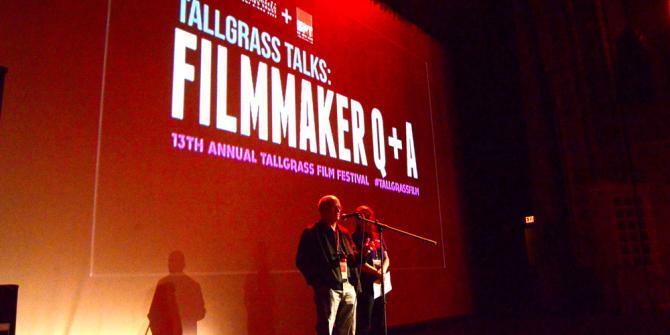 A program of the 501(c)3 Tallgrass Film Association, the festival showcases films from around the world, hosts dozens of visiting filmmakers and includes galas, parties and educational workshop and panels. In addition to bringing the best of independent cinema to Heartland audiences, the festival is designed to highlight the city&apos;s cultural attractions including world class museums, landmarks and unique local businesses, to visitors and residents alike. Throughout the year, TFA presents year-round special screenings in partnership with organizations like Music Theatre Wichita, the Wichita Art Museum, the Orpheum Theatre, Exploration Place, a traveling Road Show in association with the Kansas Historic Theatre Association, a 24 Hour Film Race and Filmmaker Workshops.